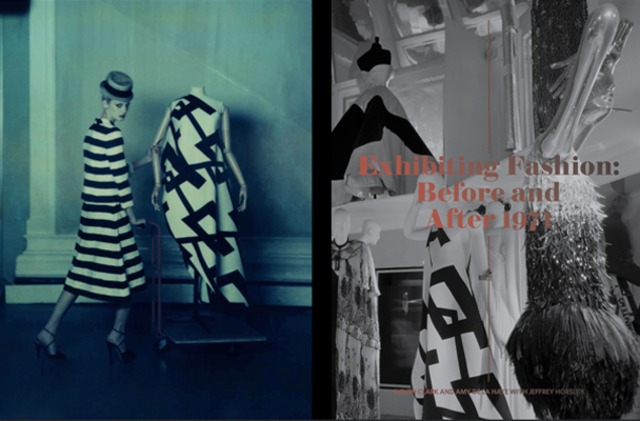 is used to describe those exhibitions whose topic was primarily clothing and accessories, whether historic or contemporary. 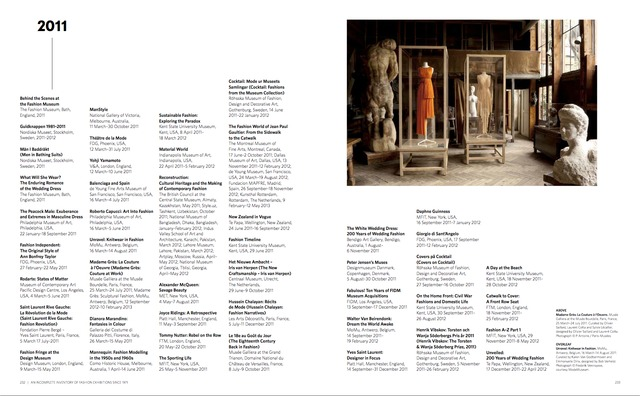 This excludes exhibitions on hairstyles, body modification such as tattooing or cosmetic surgery, exhibitions of textiles and wearable art, fashion illustration and photography. 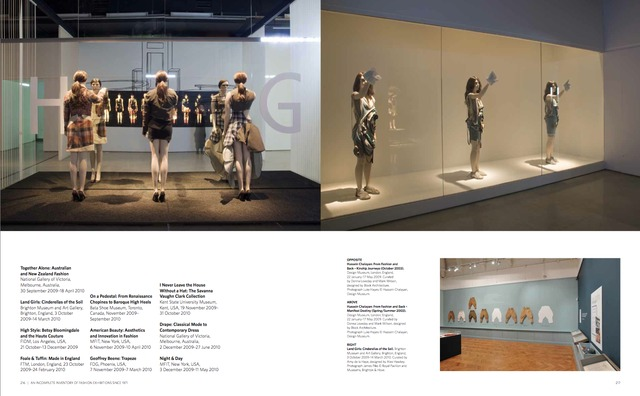 Also excluded are exhibitions of costume produced for performance – except in those instances where the designer was a recognised fashion designer. 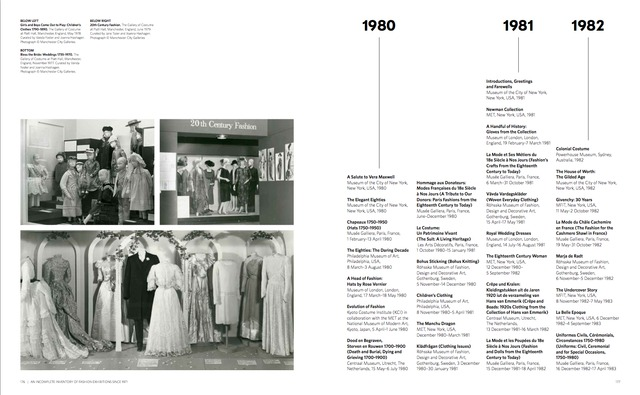 The inventory was compiled from a variety of sources, including exhibition reviews featured in Fashion Theory: The Journal of Dress, Body and Culture, Costume: The Journal of the Costume Society and Dress: The Journal of the Costume Society of America. 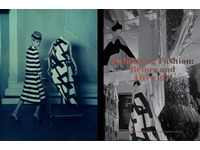 The websites of a number of institutions who regularly stage fashion exhibitions were also consulted. 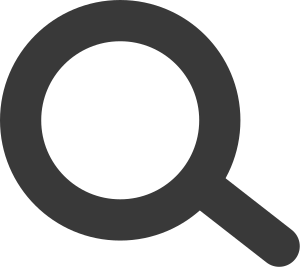 Furthermore, an international network of professional colleagues provided data from their own institutional records and suggested other contacts that I might follow. 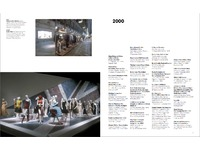 Finally, I referred to a collection of catalogues, fashion exhibition ephemera and a record of exhibitions visited personally since 1999, accumulated as a resource for my own research. 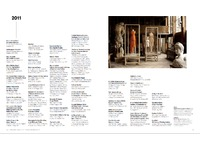 The inventory is organised chronologically with entries grouped by the year in which the exhibition opened. 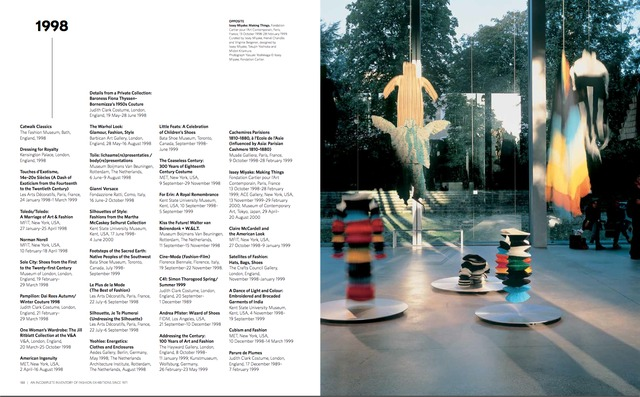 In those instances where only the year of the opening is known, exhibition entries are placed at the head of that year group and when only the year and month are known, entries are placed at the head of the corresponding month. 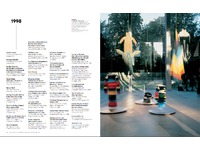 Each individual entry notes the full title, venue, city, country and exact exhibition dates when known. 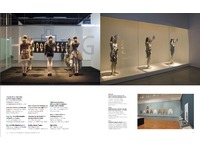 Exhibition venues are accredited with their current title. 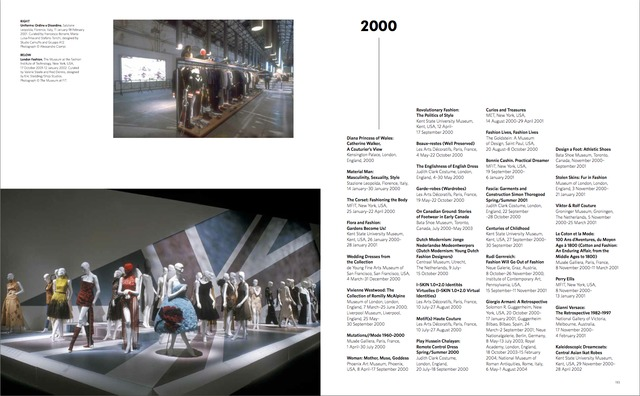 Admittedly incomplete the inventory, totalling over 900 exhibition entries and 60 installation images, nevertheless records significant evidence of international fashion exhibition activity, tracing the trajectory of fashion exhibitions over the past forty years. 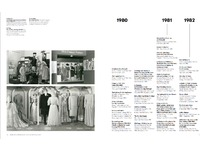 The inventory is prefaced with quantitative analysis of the data gathered which identifies noteworthy developments in both the capacity and concerns of fashion exhibitions over the period.